A producer, director, writer and scenic photographer, Cecil Hepworth survived in the film business longer than any other British pioneer film-maker. His film-making career began in 1899 when he converted a small house in Walton-on-Thames into a studio. Twenty-five years later it would be the over-ambitious expansion of the studio that would drive him out of business. In the course of his career, Hepworth became one of the most respected, if not the most dynamic, figures in British cinema. Cecil Hepworth was born on 19 March 1874 in Lambeth, South London, the son of celebrated magic lantern showman T.C. Hepworth . In the early days of cinema, he worked on the periphery of the industry, assisting Birt Acres in a royal command cinematograph performance, and writing the first British book on cinema, Animated Photography, The ABC of the Cinematograph in 1897. After being sacked by Charles Urban from Maguire and Baucus , Hepworth and his cousin Monty Wicks set up their own company, Hepworth and Co , with their trade logo Hepwix. Over the next few years Hepworth and Co made a steady stream of scenic films and actualities, with Hepworth as cameraman/director. Their first popular success came with the filming of the funeral of Queen Victoria in 1901. In 1904 the company was renamed the Hepworth Manufacturing Company , and Hepworth stopped directing, handing the reigns over to others such as Lewin Fitzhamon . The company began to develop a house style, based on simple stories told with high photographic quality. Hepworth produced on average three films a week, ranging from melodramas and slapstick comedies to scenics and travel films. In 1905 he presented the first British movie star, a collie with the stage name of Rover . Rescued by Rover (co-d. Lewin Fitzhamon, 1905) was an enormous popular success. The following year he presented a new star - a horse - in Black Beauty (1906), which was then teamed with Rover in Dumb Sagacity (1907). By 1910 Hepworth had recognised the growing cult of personality in the cinema, and was promoting two series featuring recurring comic characters, Mr Poorluck, played by Harry Buss , and Tilly the Tomboy, featuring Alma Taylor and Chrissie White . Rescued by Rover is notable for its efficient style, using consistency of direction from one shot to the next to clarify the action, yet Hepworth showed little interest in the development of film language. Indeed, he was to speak out against the narrative system of classical Hollywood films in later years. His interest remained in scenic photography and he brought this pictorial style into his films. In 1911, after the US market had closed to British films owing to the formation of the Motion Picture Patents Corporation , and sales in the UK had dwindled, Hepworth returned to directing, adapting famous authors and using famous actors in an attempt to revitalise his product. 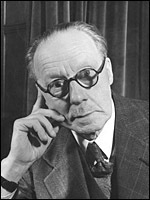 He presented several Dickens adaptations, including Oliver Twist (d. Thomas Bentley, 1912), and a version of Hamlet (d. Hay Plumb, 1913) starring Sir Johnston Forbes-Robertson . Hepworth still maintained the same style of film language which he fostered prior to 1910, frontal staging with action played out in pantomimic gestures in a single long-shot tableaux. Rarely was a space broken down in a Hepworth shot. Ultimately, as the classical narrative system took over, Hepworth films began to look more and more old-fashioned. They were, however, championed in the film press, and Hepworth 's films were popular enough to turn both Chrissie White and Alma Taylor into major British stars. Hepworth Picture Plays , as the company became, continued making modestly successful films into the 1920s. His film subjects at this time were still mostly melodramas, although a foray into comedy with Alf's Button (1919) proved a massive popular hit, even in America. In Britain it was revived several times. Buoyed up by this financial success, Hepworth planned to build a large studio complex and also bought a local country house with large grounds, Oatlands Lodge Estate, to use for filming purposes. To fund this expansion, he released a share prospectus which was badly under subscribed, and Hepworth found himself unable to raise the capital he required to pay off what he already owed. His company limped on, and Hepworth was able to complete his re-make of Comin' Thro' The Rye (1923), the film he regarded as his finest achievement. Unfortunately audiences didn't share his opinion and it failed to revive his fortunes. On 17 June 1924 a receiver was appointed who sold off Hepworth 's company for a fraction of its worth. All of his original negatives were melted down to reclaim the silver. Hepworth was a film-maker with a unique visual style which suffered badly in comparison to the Hollywood product. Comin' Thro' the Rye seemed, for all its thoroughly British character, outdated and outmoded. His presentation style barely changed from the early melodramas to the features of the 1920s, but it was a specific style which he deliberately fostered. He was justifiably proud of his place in cinema history, and toured in later life with a lecture programme telling the story of the birth of cinema. As Variety said of him on 19 May 1922, he was apt to allow the artist in his nature to conquer the commercialism of the showman, but his pictures were always worth watching. He died on 9 February 1953 at Greenford, Middlesex.